Design of a product is that mandatory element without which your product can not clench the maximum number of buyers. A jam packed and well made design of a product will grab you more people than usual. The design of your product will speak about your forte and get you better outcome and fruitful results. If you are done with a design and want to present it in a way so as to become first prominence of the client then this post of tin can mock up PSD will really help you out. These tin cans have appealing designs. Just give it a try and watch it going right-in your way. 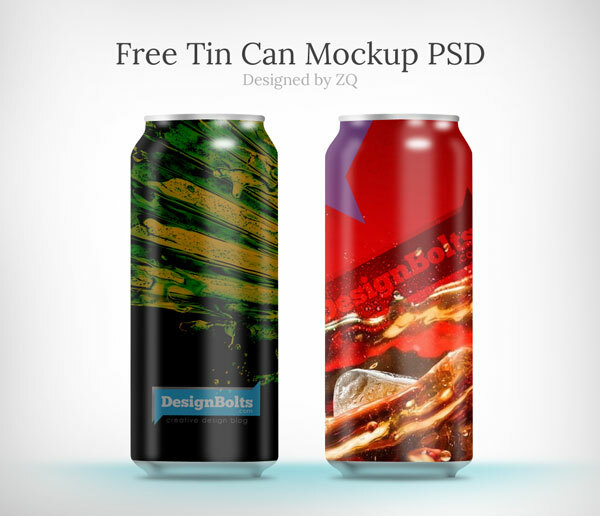 Take it away and revert us how did you like this free tin can mock up PSD! Do subscribe us for more free vectors, free icons and other fresh freebies.